An asphalt overlay is a long term, but costly repair to the asphalt pavement. It provides a new, strong, crack free, smooth driving surface. 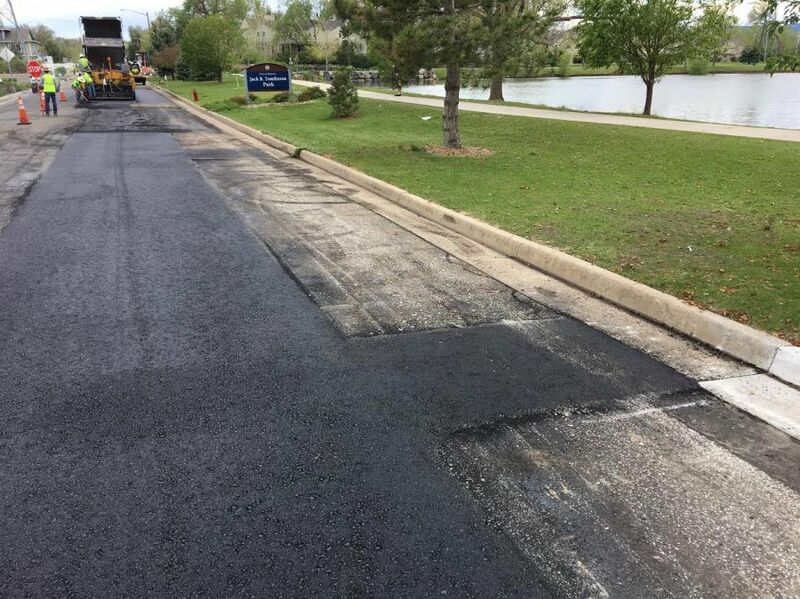 Before an overlay is put down, all areas that are potholed, excessively alligatored (small cracking resembling the skin of an alligator) or have subgrade damage are repaired to maximize the life of the overlay. A milling process is completed by grinding off between 1” and 3” of the existing asphalt surface and then the application of hot asphalt material is placed by large paving machines and pneumatic and steel wheel rollers. The life expectancy is between 15 -20 years. 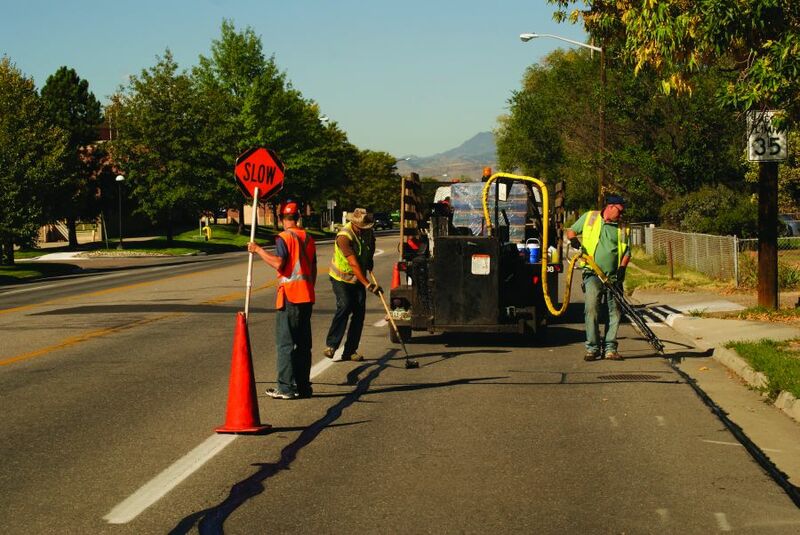 Crack sealing is a short-term, cost-effective way to maintain the life of pavement. It seals the cracks from water intrusion and other damaging factors that could lead to premature sub base failure. The material is made up of crumb rubber and emulsified asphalt for flexibility due to the expansion and contraction of asphalt surfaces. It is applied hot to create a bond with the existing pavement. If a crack seal is covered by a seal coat or a chip seal within a year or two, the life expectancy can more than double. Life expectancy is between 3 -5 years. Seal coating is a short-term, cost effective way to prolong the life of pavement. It protects the asphalt pavement from ultraviolet rays and water, helping to slow the process of oxidation and raveling. The goal of seal coating is to create a waterproof, protective coating that can increase the life of pavement and improve appearance, but not necessarily ride quality. 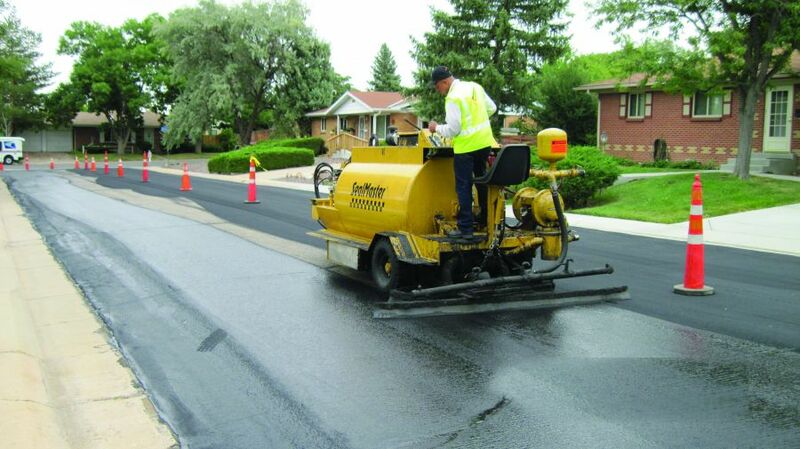 A seal coat is a thin membrane of emulsified hot asphalt application that is generally 1/32” to 1/8” thick. Life expectancy of a seal coat is 3 -5 years. A chip seal is a long-term, cost effective way to maintain the life of pavement. The goal of a chip seal is to correct raveling, seal small cracks, and slow the process of oxidation while providing a new wearing surface. It does not necessarily improve ride quality. 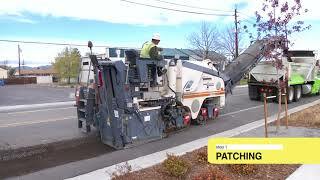 Chip sealing is an application of emulsified asphalt and a 3/8” granite aggregate cover. The emulsified asphalt is applied hot. After the hot asphalt is applied to the pavement surface, aggregate is immediately applied over the asphalt. A pneumatic roller is used to compact the aggregate particles in the asphalt. 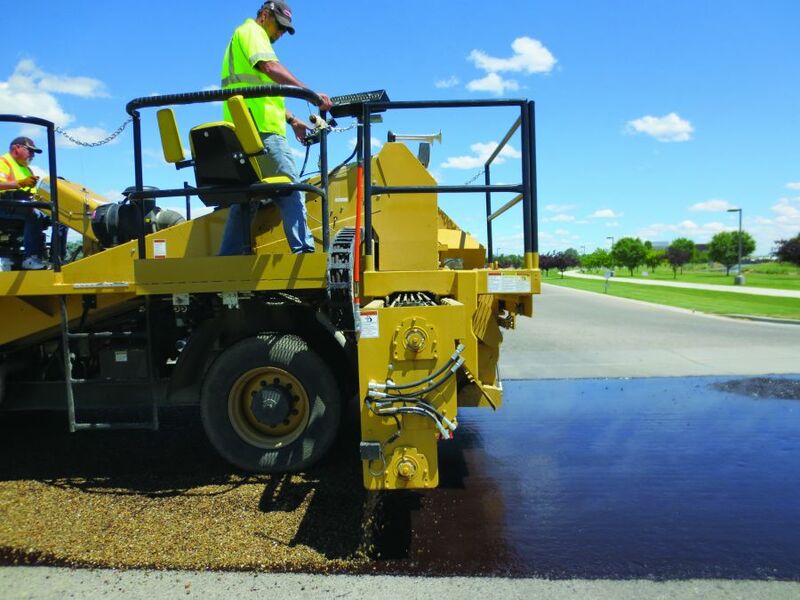 All loose aggregate is swept up and then another coating of emulsified asphalt is applied to seal the surface. Life expectancy is between 8 -10 years. A complete reconstruction is a long term, but extremely expensive repair to the street. It provides a new, strong, crack free, smooth driving surface. 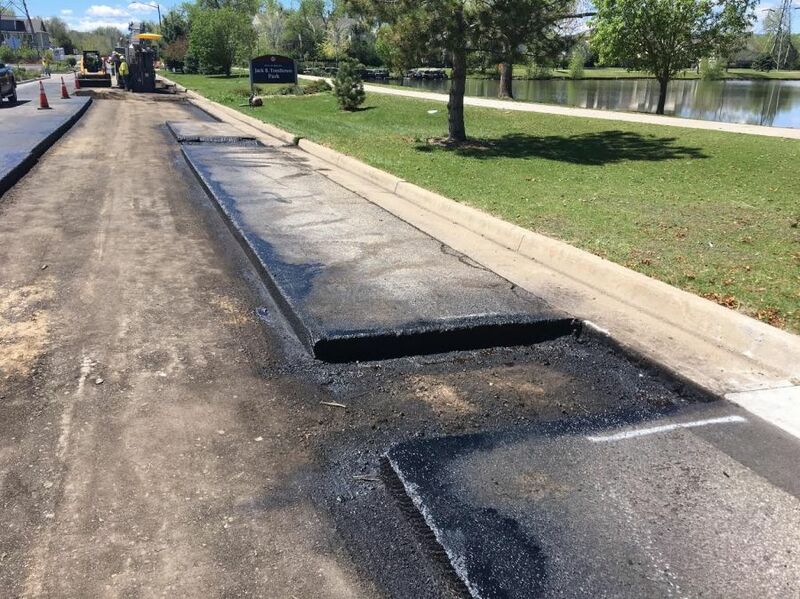 It requires removing all old asphalt and failed sub base and replacing and compacting new sub base materials and establishing proper shape and grade of the sub surface prior to placing hot asphalt material. The application of hot asphalt material is placed by large paving machines and pneumatic and steel wheel rollers. The asphalt thickness is generally 6” on residential streets and 8” on primary and secondary routes. The life expectancy is between 20 -25 years.